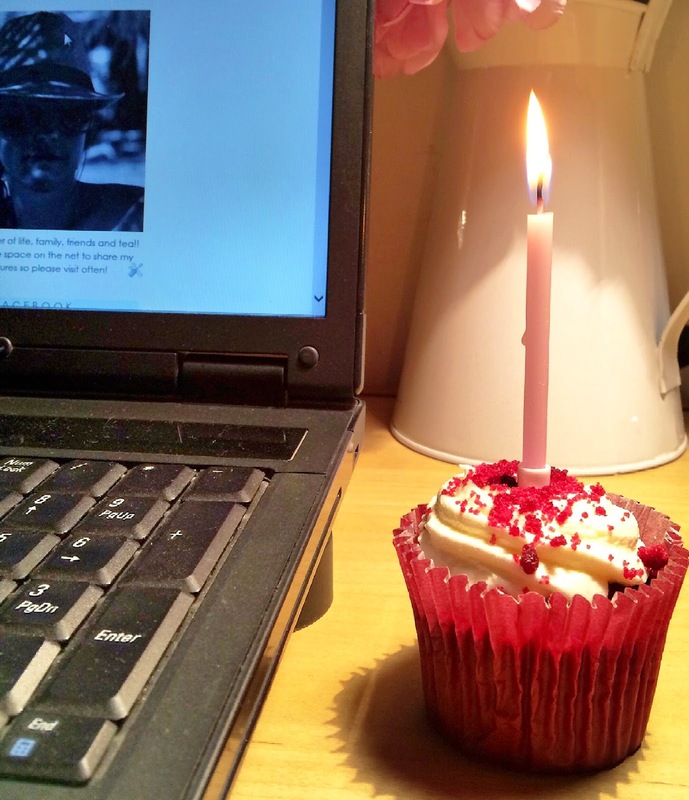 Happy Birthday to my amazing blog. It's a year old. I did actually doubt whether this would be something I would keep up, I do get bored easily you see, but no, one year on and I'm loving it more than ever. And I really mean that. I get excited about publishing my next post. I will admit to you, right here and now that's it not been an easy ride, so if you're thinking of starting your own blog you should know that! If it's something you 'think' you want to do, then just do it, but be prepared for all the hard work, and major frustrations that come along with it. For me it was tough going from the off, as I had no technical experience whatsoever, I knew nothing about building a website or photography, and especially nothing about that html nonsense!! I've taught myself everything as I've gone along, Googling every little thing to learn how to do it, using You Tube as my biggest research tool, and of course making mistakes. I look back at my early posts and cringe, I really do, but then I have this overwhelming feeling of pride as I realise how it has changed and grown into something I'm really proud of. A lot of people will say they started the blog for themselves. I am one of those people. I never kept a diary when I was younger, not a proper one anyway, and as I lead such a busy adult life I thought it'd be a great way to document everything and put words to pictures. I look back at some of the posts from not that long ago and giggle to myself at what we got up to, so heaven knows what it'll be like looking back in ten, twenty years time, but the great thing is I'll be able to do just that! Although I started to write for myself and my hectic life, I'd be lying if I said I didn't want it to develop into something more. I'd be lying if I said followers and comments mean nothing to me. I'd be lying if I said I don't smile the biggest smile from ear to ear when someone tells me they've read my blog, and hey, they actually liked it, because that makes me feel all warm and fuzzy inside. The thing is, I didn't realise how much I would love writing my blog, don't get me wrong I'm not a very good writer and I'm certainly no professional photographer but I've learnt so much, even in such a short space of time, and know that I will keep on learning, not just from things I pick up on the internet, but from the people I am now surrounded by. That's another thing I love about Blogging. Connecting with all walks of life from all around the world. It's truly amazing. I have to say at this point that I've met an amazing friend through the blogging world, called Heather, who writes over at Suncream and Sparkles. We just clicked, and email regularly, chatting about anything and everything. She lives in the UAE but I hope we'll be able to meet up one day. If I said that blogging has taken over my life, that would be an accurate statement I can tell you, and my husband would certainly agree. He's been so supportive of me right from the beginning though, although I'm sure he was quite probably thinking it's just another fad! Even he's surprised by some of the things I've achieved. I have to say some of my family and friends don't 'get' the whole blogging thing, but that's ok. I'm so glad I took that step and started out because I LOVE IT. I love it that some of you CHOOSE to read my posts, how amazing is that? Some of you even choose to leave comments (not enough of you though!) and I love that more than anything. It means the world, and hey it's proof you actually read the post! So, moving into year two, I hope to continue to make new friends, I'd love to get to lots of blogger events, work with my daughter more on fashion posts, and who knows, may even get the opportunity to work with some great brands. If the PR companies are reading, email me! I think I've babbled on enough, so to finish, I'd like to give myself a big pat on the back, it's been bloody hard work, and also thank you guys for taking the time to peek inside my world, I'm sure you've laughed at me, laughed with me, and I hope you've enjoyed it so far! Nearly forgot to tell you the important bit! To show how grateful I am I'm running an Elemis giveaway which starts tomorrow, you won't want to miss it. Congratulations for your one year of blogging. I have recently sort of started out but it's just the beginning. Blogging is definitely hard work but sooooo rewarding! Congratulations of your first year - I'll raise a glass to many more. Thanks Heather. We talk so often don't we about it being hard work and the frustrations we have but we love it all the same, we'd be lost without it!!! The giveaway is most definitely international!!! Thanks so much for your lovely comment Lisa, I really appreciate it. Good idea about the reunion!